In the past, just some cooking oil was poured into the pan, today already share various recipes, which oil should be used. The taste of each product is often so different that the oil really makes a difference. It is not for nothing that olive oil is often used when it comes to Mediterranean dishes. But the cooking oil often has a health-promoting effect. Just the richness of B vitamins and the good fats of olive oil is known. But what about the other products and how are the oils made? This article gives an overview. Conclusion - why only one thing? Ingredients - Hemp oil has a delicious taste that also qualifies it for the kitchen. It has important ingredients that build up the body from the inside. It is rich in omega-3 and omega-6 fatty acids, has many vitamins and minerals. Just the B vitamins are represented in the oil. Deficiencies - to prevent deficiencies in the vitamin and nutrient balance, hemp oil can help. Skin diseases - Hemp oil is known to provide relief for various skin conditions. Especially people who are suffering from psoriasis or atopic dermatitis, can resort to the oil in a soothing way both internally and externally. Inflammation - the linolenic acid and stearic acid contained in the oil help to eliminate inflammation. Especially with ear and throat infections, the intake can contribute to the relief. As hemp oil does not only have a positive effect on acute inflammatory processes, but also helps with chronic inflammation, it can be used permanently for rheumatism or osteoarthritis. Menopause - During the menopause, hemp oil can help alleviate hormonal symptoms and, for example, reduce mood swings. Incidentally, hemp oil can be used very cold in the kitchen. On the other hand, it is less suitable for frying or otherwise heating up, since many of the valuable ingredients are destroyed by the heat. For salads or dressings, on the other hand, it is ideal. Fatty acids - the oil is particularly rich in omega-3 fatty acids and has more of them than fresh fish. There is little oil needed to meet daily needs. Omega-6 fatty acids have a positive effect on the cardiovascular system and can support the eyesight. Likewise, they cause positive processes in the brain. A lack of the acids can sometimes lead to a loss of thinking or depression. Nevertheless, omega-3 and omega-6 fatty acids should always be in good ratio. Blood lipid levels - According to studies, a tablespoon of linseed oil combined with linseed can cause blood lipid levels to improve. Diabetes - linseed oil can have a positive effect on blood sugar levels. It interferes with insulin levels and prevents the value from rising too much after eating. Blood pressure - apparently regulates linseed oil or rather the omega-3 fatty acids it contains, including blood pressure. In one test, people were given a daily dose of 60 mg of linseed oil, which lowered blood pressure and did not increase as much during stress. Fatty acids - Olive oil consists to a large extent of unsaturated fatty acids, which strengthen the whole organism. The omega-3 fatty acids have a positive effect on the cardiovascular system and are sometimes the basis for cell renewal. Likewise, the fatty acids inhibit inflammation in the body. Infections - who rinses his mouth regularly with olive oil, can prevent colds. Even with gingivitis, the oil rinse helps with healing. The ingredients of the oil have an anti-inflammatory effect. Skin diseases - Olive oil also helps with neurodermatitis or psoriasis. The fact that olive oil is supposed to prevent cancer and kill the heart attack is repeatedly claimed. It highlights the longevity of many people in Mediterranean regions, including the village with the oldest inhabitants. 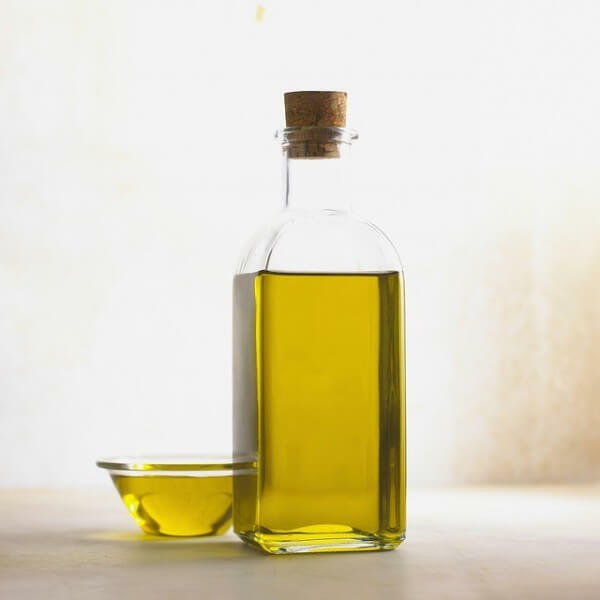 While olive oil - as well as flax and hemp oil - naturally has positive properties, it should be kept in mind that in many cases the diet is different in the countries. It is often lighter, based on a lot of fish, olives and salads, so the interaction is probably responsible for the biggest effect. Of course, it does not hurt to prepare your own food with olive oil. Not every oil is suitable for frying and not every oil tastes in the salad. Therefore, it is good to know which other oils are still available and what they are suitable for. Roast - here it depends on the smoke point, as the oil should not smoke. The leader in this field is argan oil. Only at a temperature of 250 degrees Celsius does it start to smoke. Argan oil is also excellent for improving hair quality. A few drops in the tips of damp hair and brittle ends can be prevented. Cold Cuisine - Rapeseed oil, argan oil, walnut oil and also pumpkin seed oil are suitable for the preparation of dressings, salads or as an additional spread. Often coconut oil is also recommended. It consists largely of unsaturated fatty acids and has a positive effect on the circulation. The taste, however, it has a slight coconut note that does not suit everyone. It can also be used for frying and baking. Olive oil is very popular especially in the Mediterranean cuisine and is considered healthy. It is difficult to commit to a single oil, but luckily that is not necessary. In terms of taste, many oils have something to offer, and those who want to look after their health while eating are well advised to use hemp, coconut or olive oil.